The Global Network Initiative (GNI) welcomes the Draft Law on the responsibility of Internet intermediaries and encourages the Chamber of Deputies to pass it as drafted, and the Office of the President to sign it into law. GNI is pleased to add our support for the Draft Law to the long list of diverse experts and stakeholders that have already endorsed it. If enacted, the Draft Law will provide a clear and fair process, governed by the rule of law, regarding the responsibility of internet intermediaries for online content of users, thereby facilitating innovation and investment in the expansion of relevant services. The law would also protect and foster freedom of expression and address unlawful online content, consistent with the Consitution of Argentina and Argentina’s international commitments. The Draft Law is based on the Supreme Court of Argentina’s ruling that releases intermediaries from liability for the content of third party users of their services.  GNI is a unique, multi-stakeholder organization composed of leading Information and Communications Technology (ICT) companies, civil society organizations, socially responsible investors, and academics. Our members work to forge a common approach to protecting and advancing freedom of expression and privacy online. GNI has developed a set of Principles and Implementation Guidelines, which guide responsible company action on addressing requests from governments around the world that could impact the freedom of expression and privacy rights of users. GNI is the only multi-stakeholder initiative with a specific focus on freedom of expression and privacy in the ICT sector.